We provide OOH services all over Russia. Out-of-home media is a traditional reliable channel of communication, which has broad possibilities and a wide-range of applications. Today, there is a large variety of shapes and placements in outdoor advertising. OOH can solve the tasks of image building, promote highly specialized services, advertise products with a wide target audience - everything depends on your needs. RMAA Group skilled professionals will help you select the most effective options for placement of outdoor advertising for your marketing goals. Contact RMAA Group`s team members to find out about ad costs. In 2017, Samsung launched a TV commercial campaign with the help of RMAA Group to promote a new mobile phone Galaxy A2017. RMAA Group was a flexible partner and provided recommendations on the channels selection. Active promotional support was delivered to the Nike sportswear brand within the Universiade in 2013 in Kazan city, Russia. RMAA Group provided outdoor advertising and advertising placement at the local airport in Kazan. BigPoint is a stand-alone online game developer and publisher with a portfolio of over 70 online games that are available in more than 25 languages and 200 countries. RMAA Group held an expansion of a BigPoint`s product—Drakensang Online—into the Russian market. In 2017, the Department of Tourism of the Philippines employed RMAA Group to plan and launch a TV commercial campaign on Russian TV channels to increase awareness of the Philippines among Russian tourists and popularize the Philippine culture in the Russian market. RMAA Group provides the Malaysia Tourism brand with the advertising in Russian press in order to inspire Russian tourists to visit Malaysia. In 2011, RMAA Group organized an exclusive interview for the LG brand and launched a TV campaign to support the brand and increase loyalty of the Russian audience. Indriver is a Russian taxi mobile application that unites thousands of independent taxi drivers. Its key competitive advantage is that taxi users can set a price by themselves. The goal of the marketing campaign in Russia is promotion of the Indriver mobile application among Russian taxi clients. The United Nations Organization launched the UN Climate Change Conference 2016 in Marrakech. RMAA Group was in charge of organization of a TV commercial campaign to cover the event in Russia and engage Russian businesspeople and investors, thereby providing a high quality support to UNO in Russia. Who do we work with? Find yourself. How the Out of Home Advertising Industry in Russia Works? 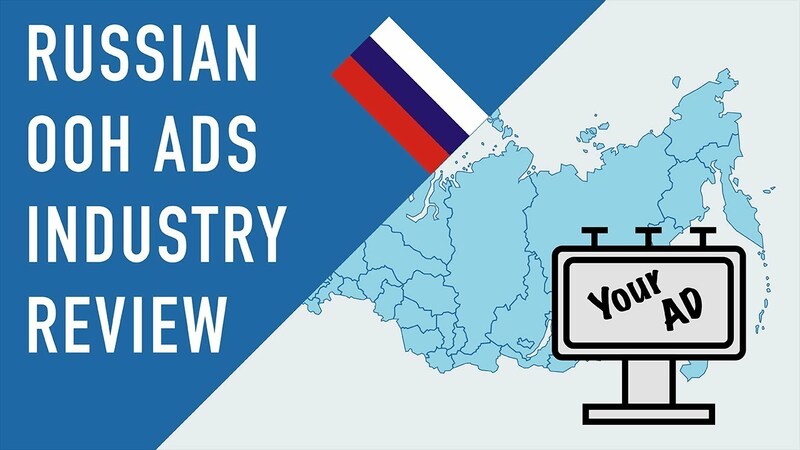 This video will help you to find answers of following questions: How do you determine the right price for media purchases in Russia? Who has the exclusive rights for advertisement selling in Russia? How do you avoid making mistakes when choosing a vendor? Do you want to know more about our other services? RMAA Group has offices in three Russian cities: Moscow, Khabarovsk and Vladivostok. Want to get our offer?